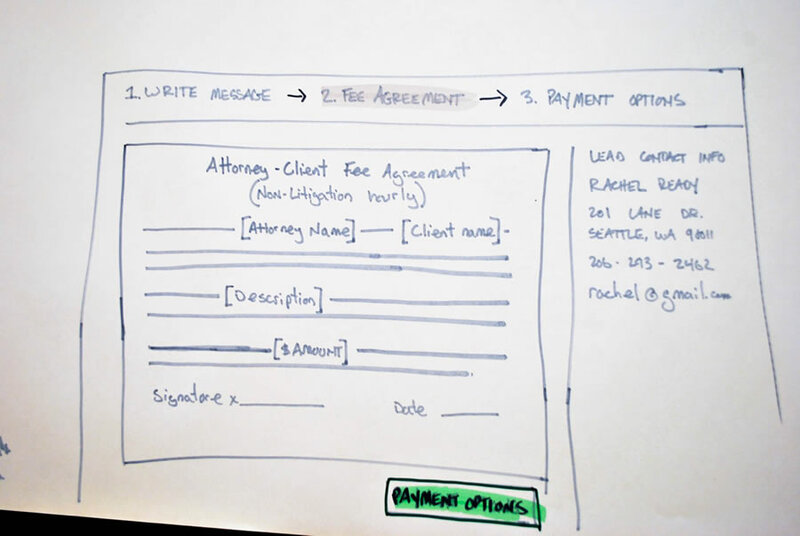 Learn how attorneys send payment request and fee agreements. 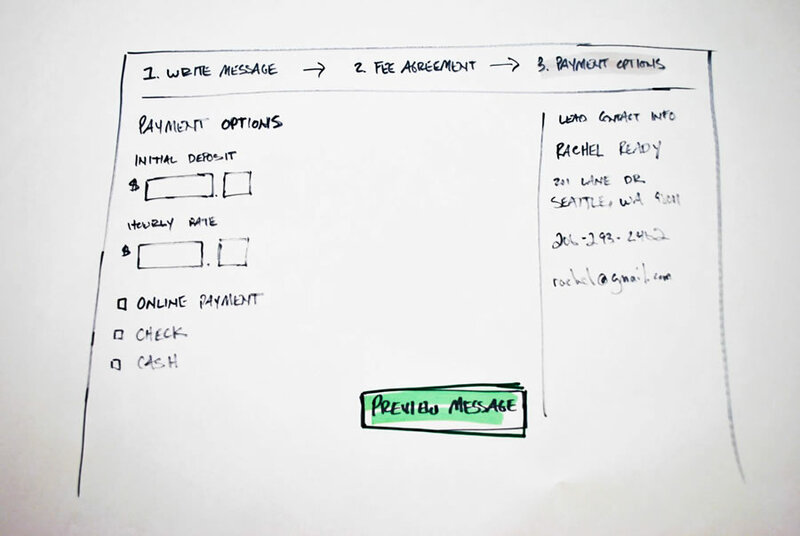 As part of the product offering we wanted to allow attorneys to send their clients a payment request that included a fee agreement. First we had to learn the attorneys’ current process and decide if an alternative was worth building. 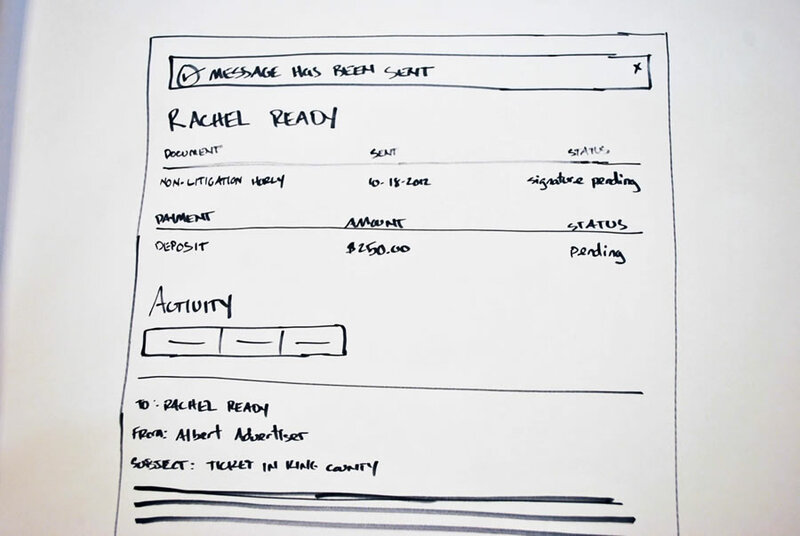 Quickly develop some artifacts to assist user research. I started writing some scenarios (Kim Goodwin scenario to sketches) of the attorney / client interaction and reviewed with the team. We needed to see if our intuitions were correct by interviewing a few attorneys. 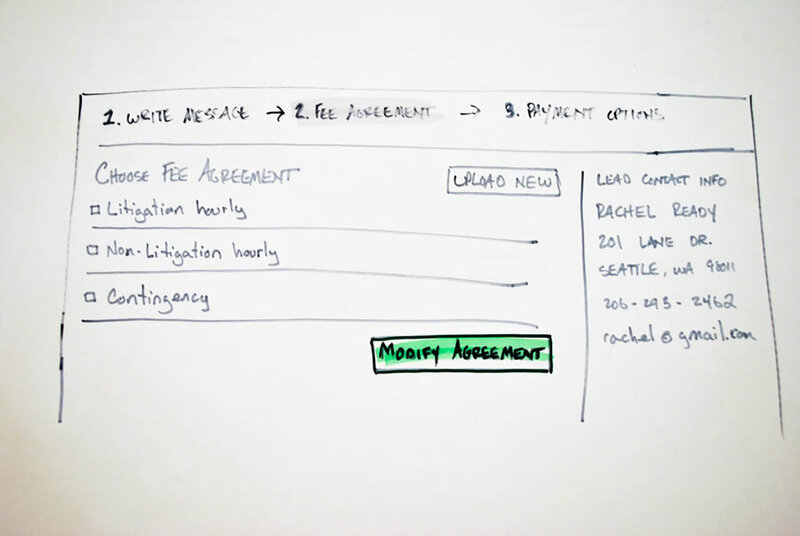 During the interviews our researcher would walk through the sketches and ask the attorney about his/her processes for payment and fee agreements. 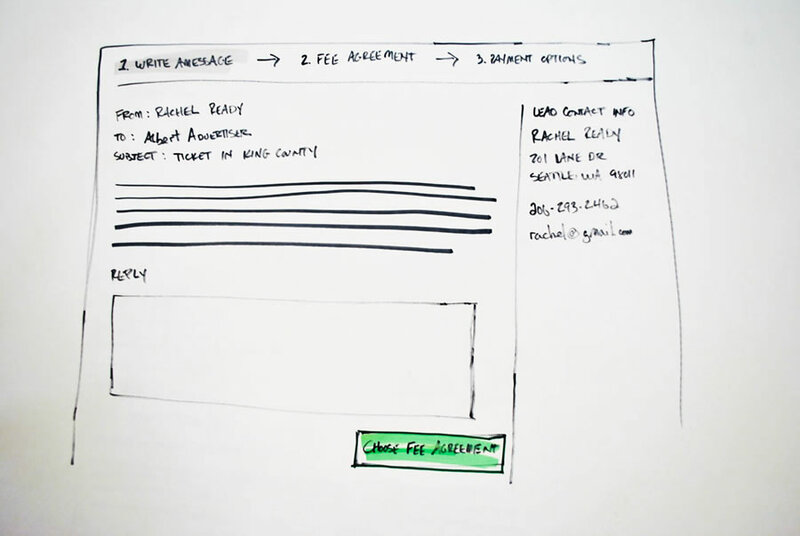 The sketches helped facilitate the conversation and allowed us to gather valuable feedback. 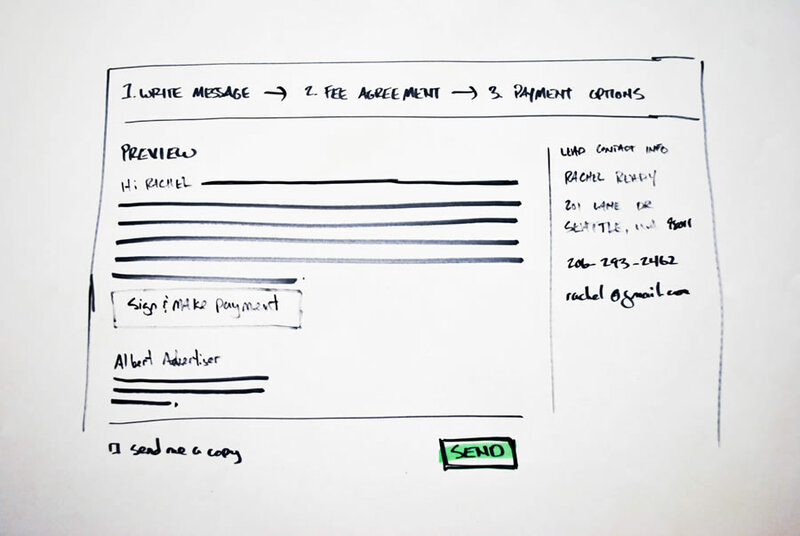 Lo-fidelity sketches and interviews kept us from building the wrong things. The interviews allowed the product team to decide what to build and kept development from building unnecessary functionality. A simple sketch can go a long way.